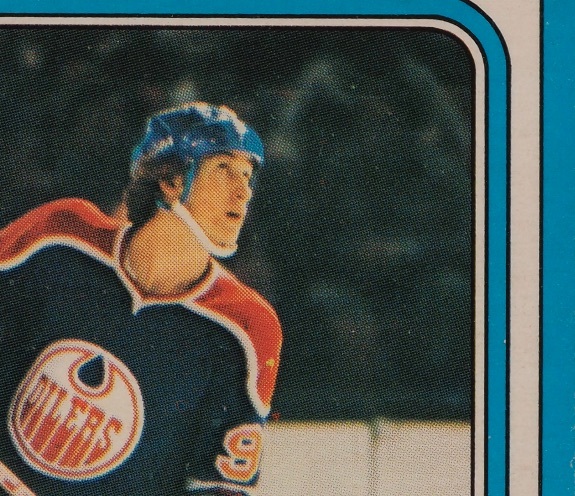 So you're in the market for a vintage 1979-80 O-Pee-Chee Wayne Gretzky rookie card? He is arguably the greatest hockey player ever and his rookie cards will forever be in demand. But because of the Great One's popularity and stature, Wayne Gretzky rookies are also one of the most counterfeited cards in collecting history. Below is a guide on determining whether your 1979-80 OPC Wayne Gretzky rookie card is legitimate or counterfeit. 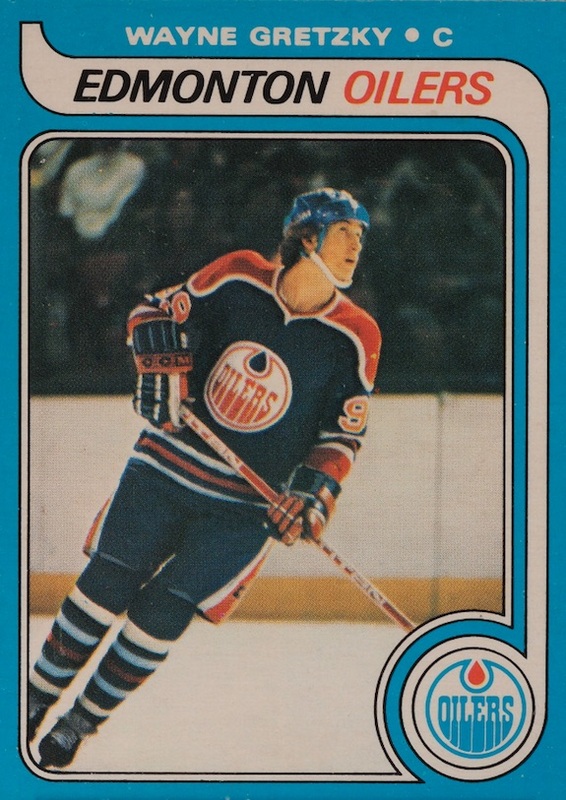 Remember, there is also a Topps version, and both rank highly with Wayne Gretzky collectors. 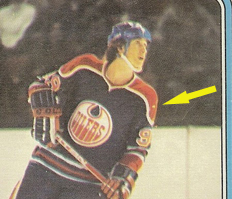 You will first notice that the original OPC Wayne Gretzky rookie has a yellow ink mark on his left shoulder. This is one of the main marks to show that the card is authentic. Every card in the print run has one of these blemishes, so make sure you check for that first. For the record, the Topps version also has a small yellow line in this area. Another method to check the authenticity of your Gretzky rookie is to look at the edges. They will most likely not be crisp and clean. This is due to the old style of cutting card sheets with a metal wire. The wire would gradually become dull and cause many rough edges. If you can find an authentic version with clean edges, it was cut earlier in the process or more recently from an uncut sheet. However, most are not cleanly cut. Less noticeable is the photo itself. Counterfeit Wayne Gretzky rookie cards will exhibit a lower resolution. This makes the photo appear cloudier, or less sharp, than the original. This may be easier to see with an in-person comparison, but you will have a better image on the original card. Even harder to go by is the light blue stripe that goes across the back of the card on only the first print run of the card. The card was originally created in two print runs, however, only the first print run has the blue stripes. While this may be useful, it will not work every time. What will work nearly every time is purchasing a card that is already graded and authenticated by one of the few trustworthy companies out there. They may cost a little bit more, but they are virtually guaranteed to be authentic and original. And when you're spending a significant amount on a Wayne Gretzky rookie card, piece of mind is priceless. Buy a professionally graded Wayne Gretzky rookie card on eBay. Kevin began collecting as a child during the 1990s boom of sports cards. After a short hiatus, he returned in 2005 when he learned of the new technologies that brought you closer to your favorite players. Today, he continues to collect players from his favorite teams and writes on his blog at SportsCardBlog.net. Outside of card collecting, he is currently a graduate student at George Washington University getting his Master's in Security and Safety Leadership. Find him on Twitter @SportsCardBlog.